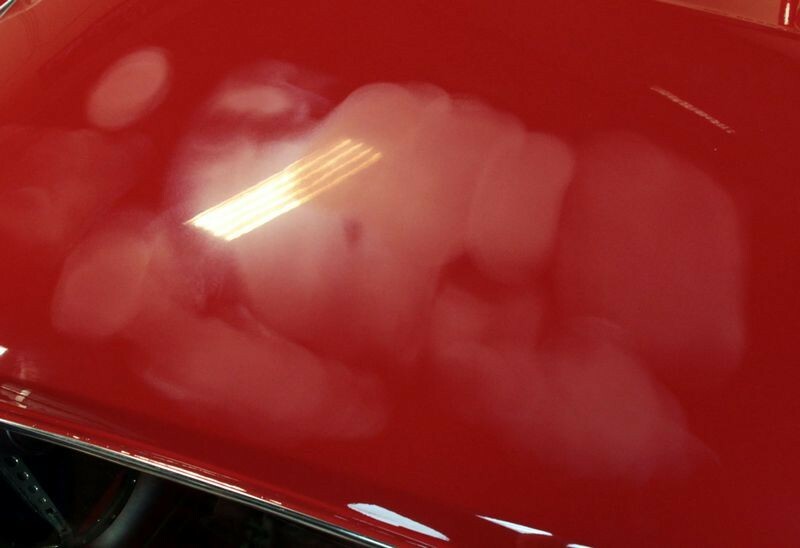 Last week while working on Bill's 1967 Mustang GTA we found pigtail left in the paint after it was machine sanded. 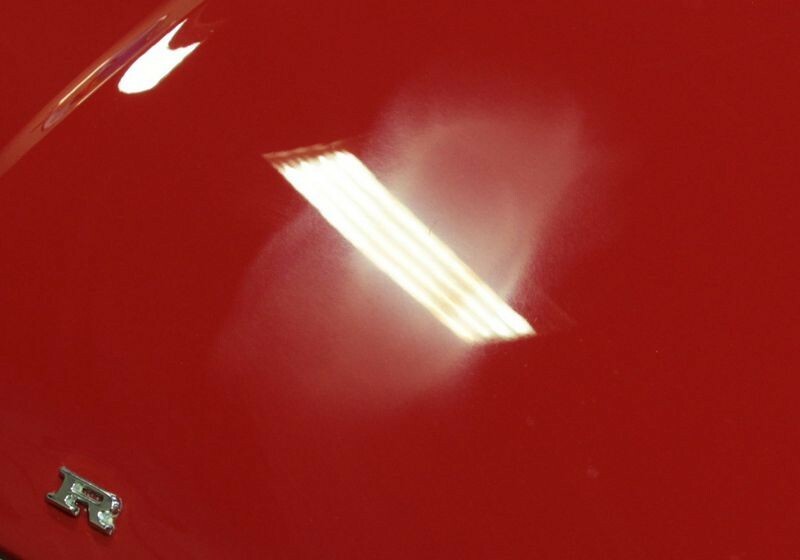 These were primarily in the hood, front fenders and the hood. 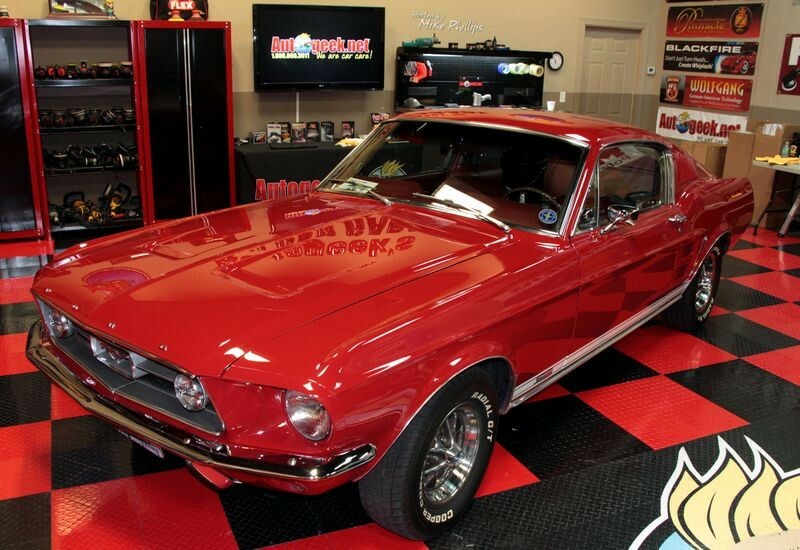 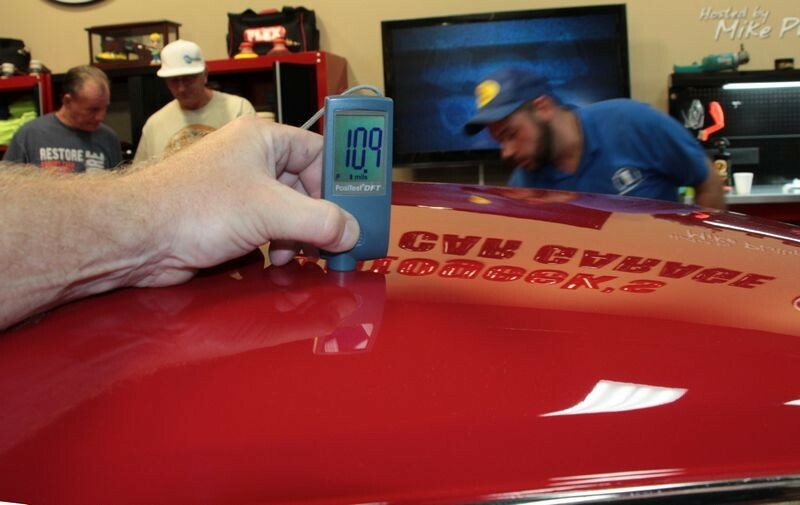 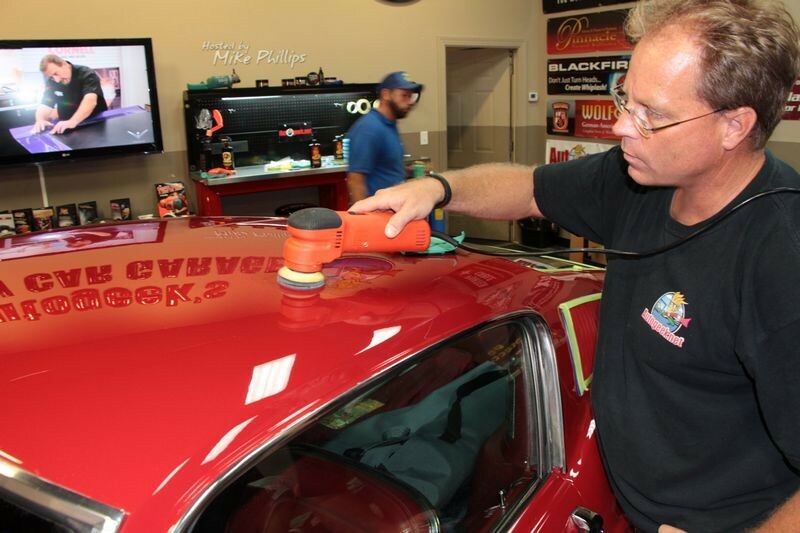 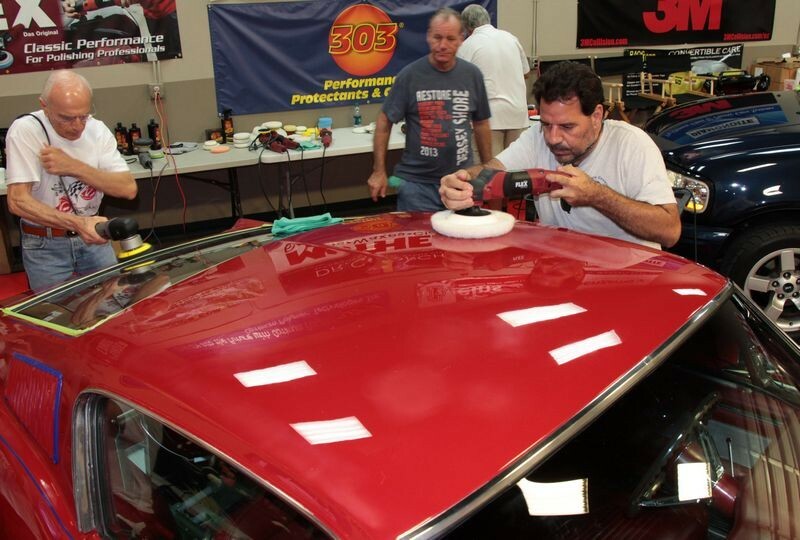 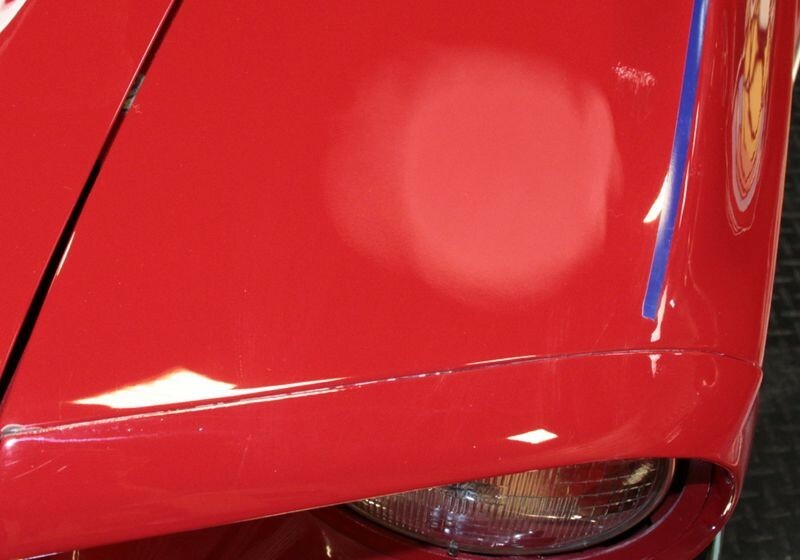 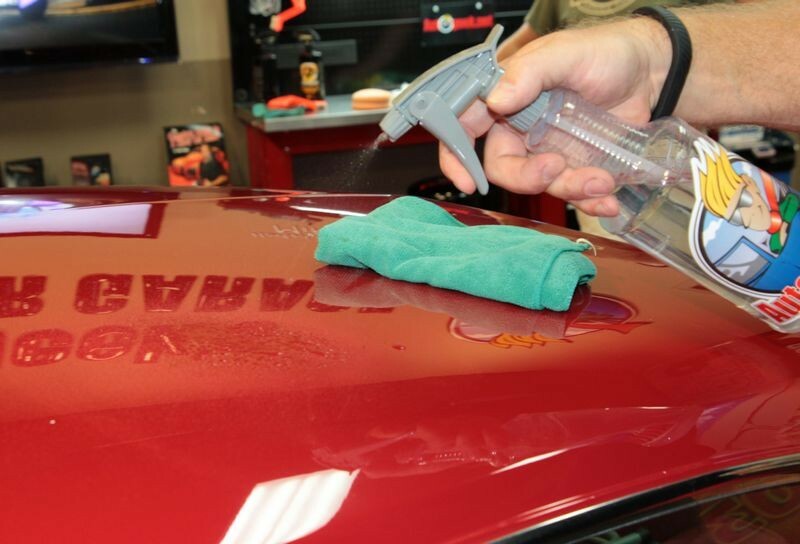 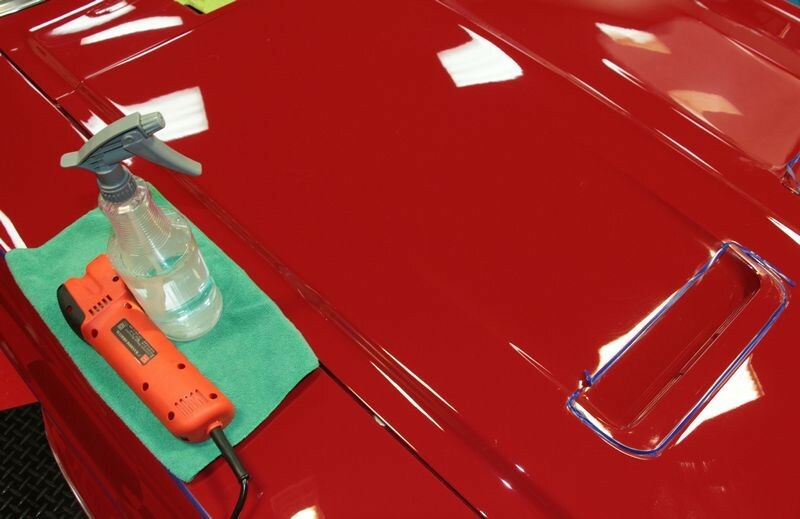 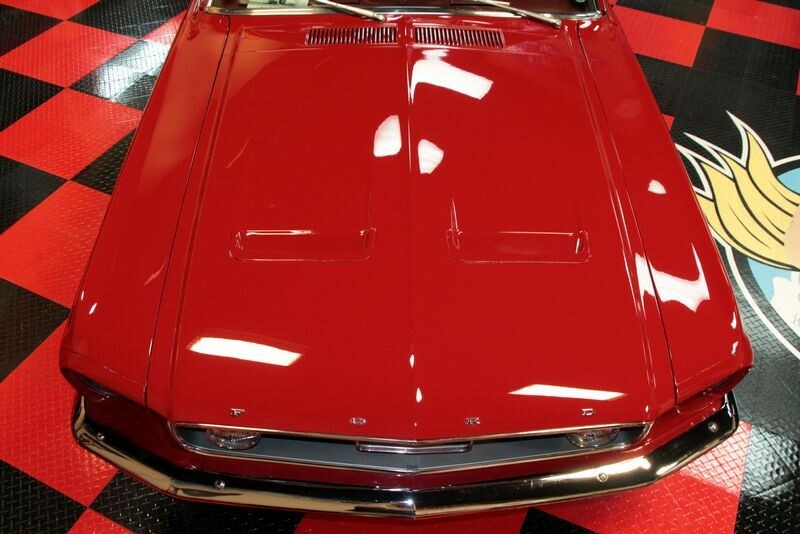 After the entire car was polished using the Advanced Swirl Remover all of the shallow swirls and scratches had been removed however, deeper scratches like the pig tails still remained and now with no shallow scratches surrounding them to camouflage them they stood out like a sore thumb. 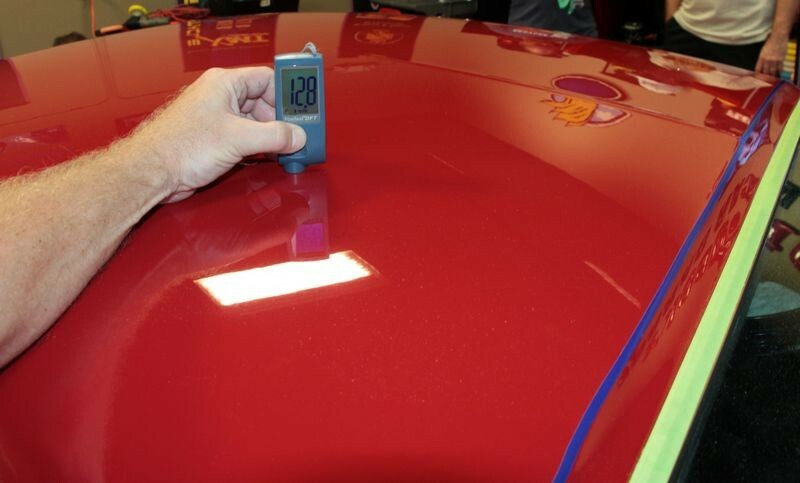 See my article on Random Isolated Deeper Scratches or RIDS for more information. 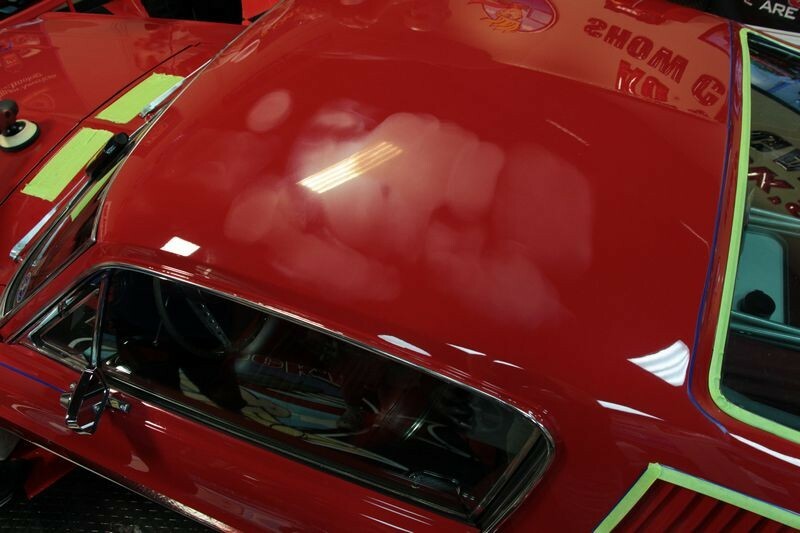 RIDS are different than Pig Tails and Tracers but the fact remains, when you machine polish a car you first remove all the shallow defects and this then reveals all the deeper defects no matter how they were inflicted. 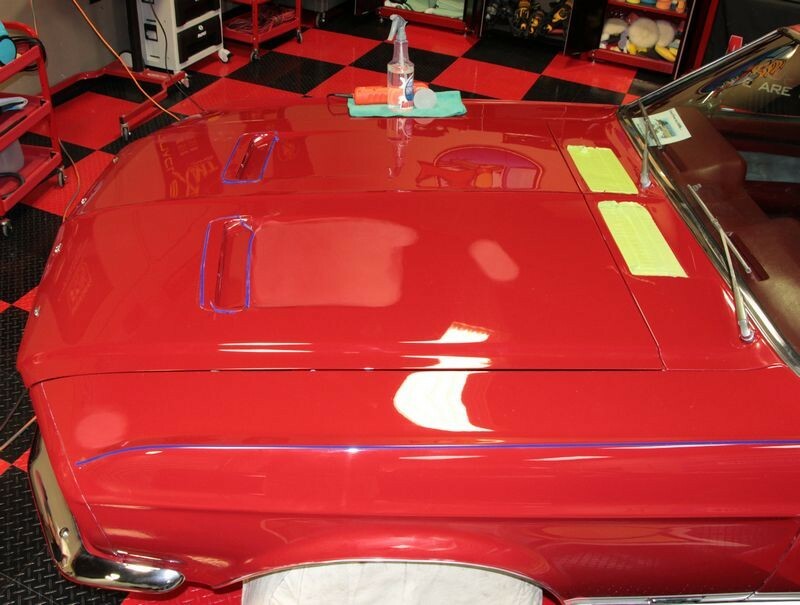 Instead of getting more aggressive with a compound to remove the pig tails we chose to wet sand the paint using 3M Trizact #3000 Grit Sanding Discs on a Griot's Garage 3" Mini Polisher. 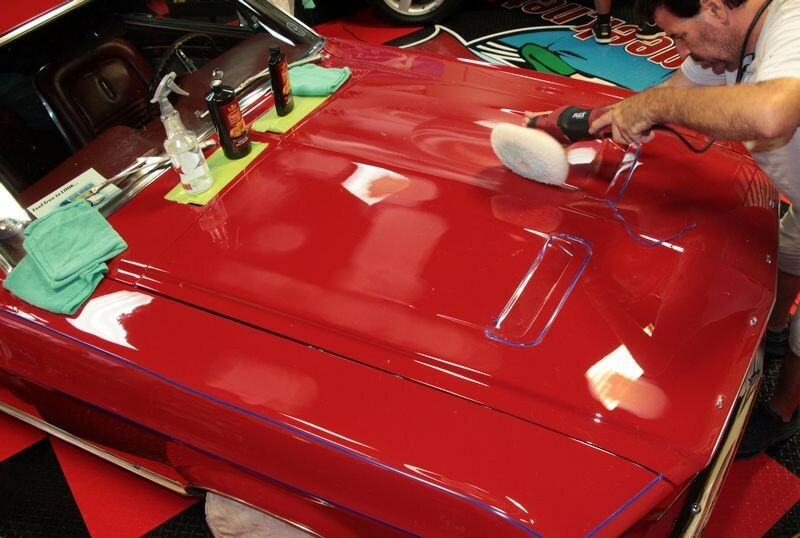 First... this is a custom paint job so the clearcoat will tend to be thicker than a factory clearcoat. 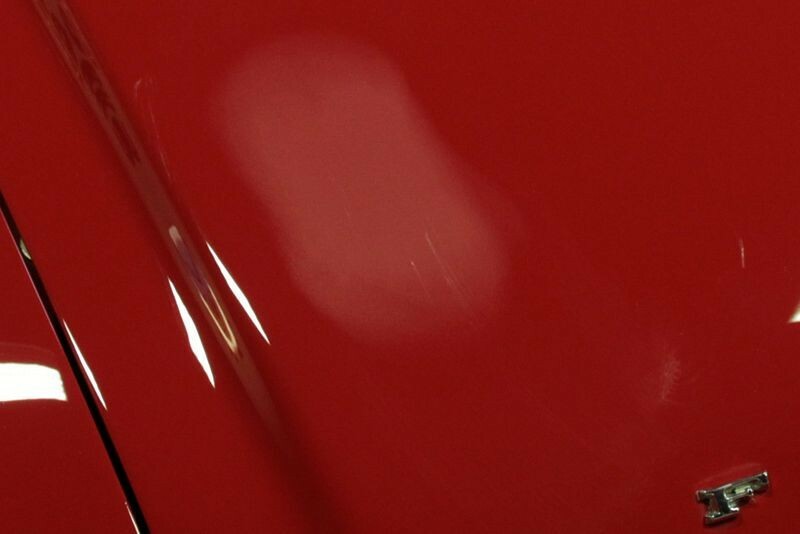 Still, I want to measure how thin or thick the total film-build is to give me a big picture idea for what I'm working on. 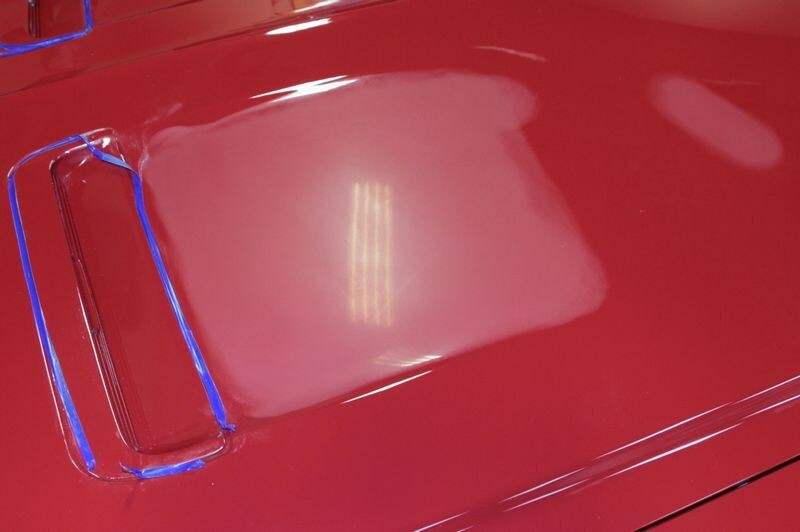 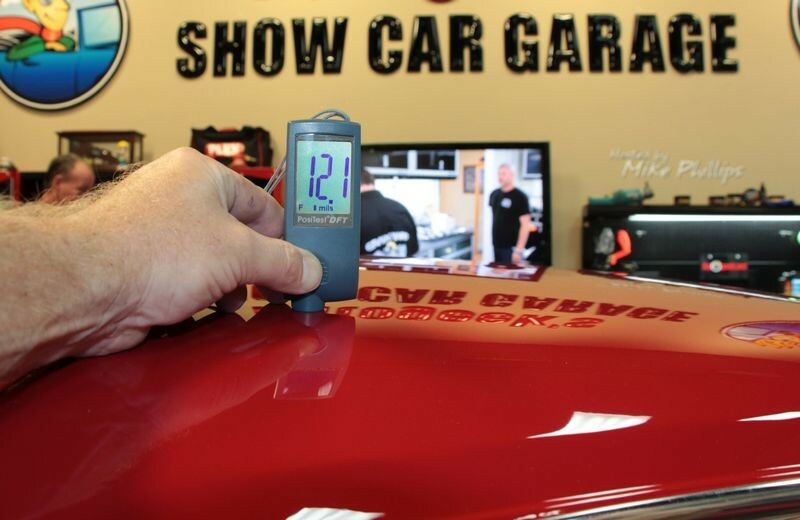 After taking a few measurements the readings were all fairly consistent so I made the decision with Bill's permission to go ahead and machine wet sand the pig tails and deeper straight line scratches out of the hood and roof. 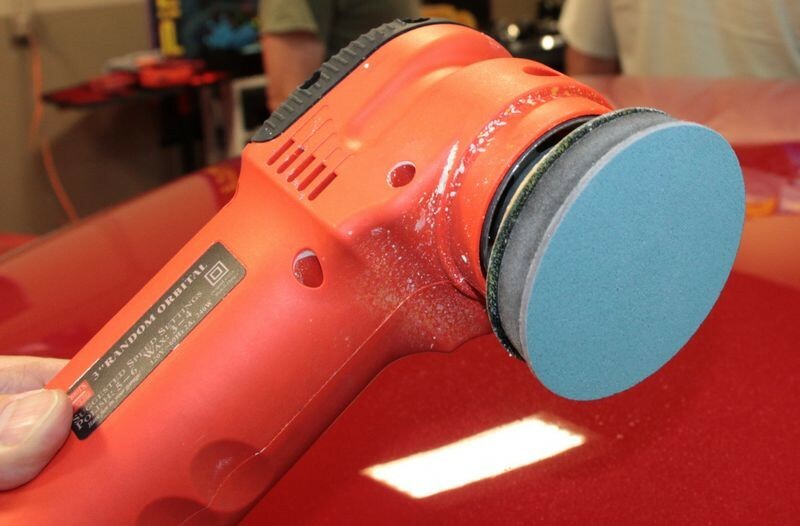 Griot's Garage 3" Mini Polisher is my tool of choice for machine wetsanding isolated defects. 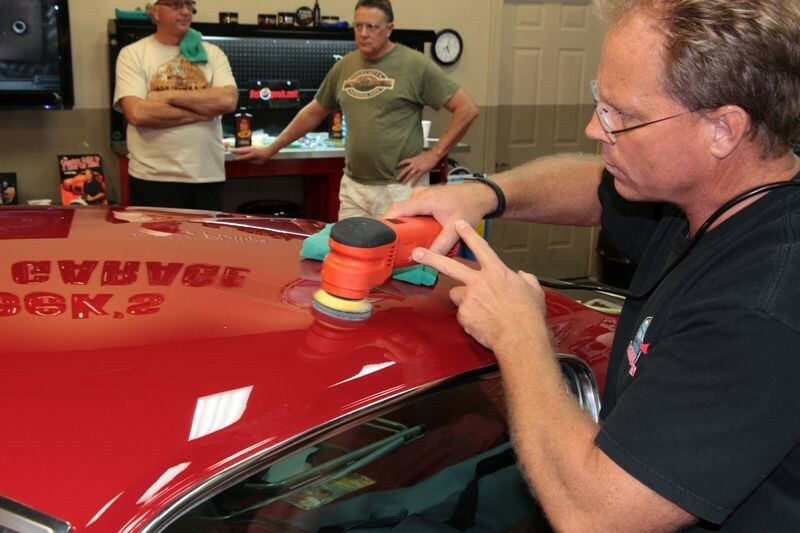 Be sure to get an interface pad if you're going to do any machine wetsanding. 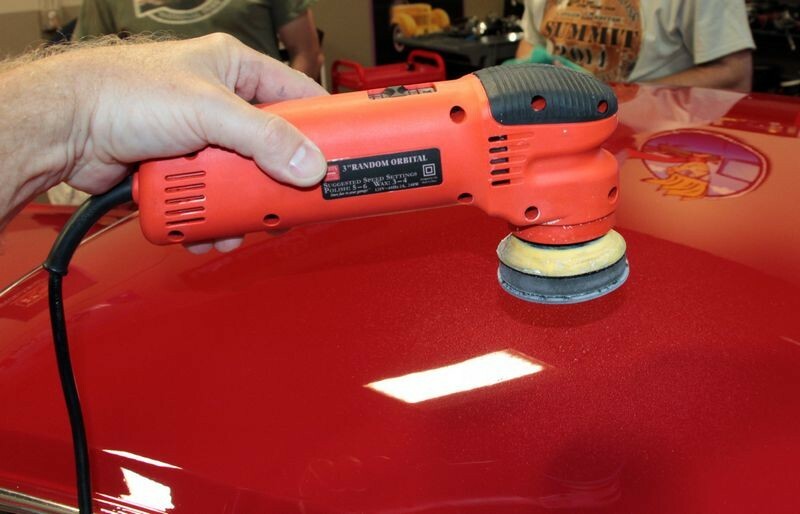 It makes the sanding process less aggressive and the cushion provided by the foam core helps the sanding disc to conform to curves. 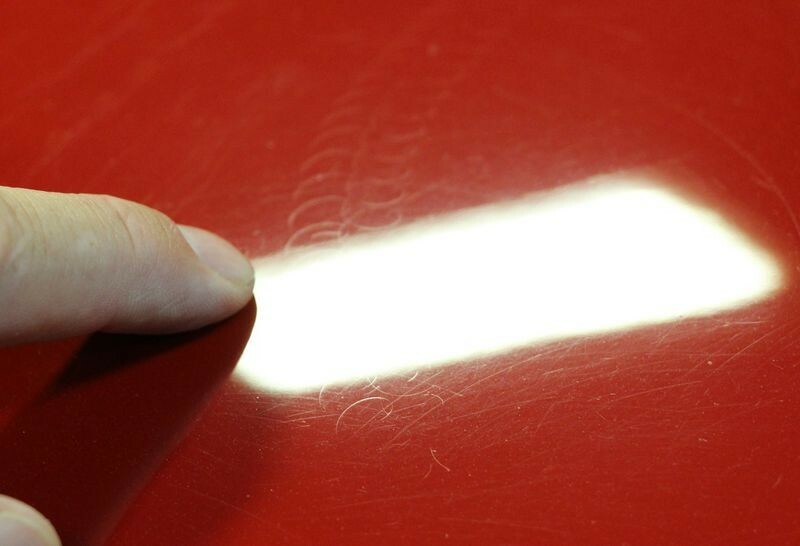 Keep the sander moving and stop and inspect often so you only sand enough to level the surface and remove the defects. 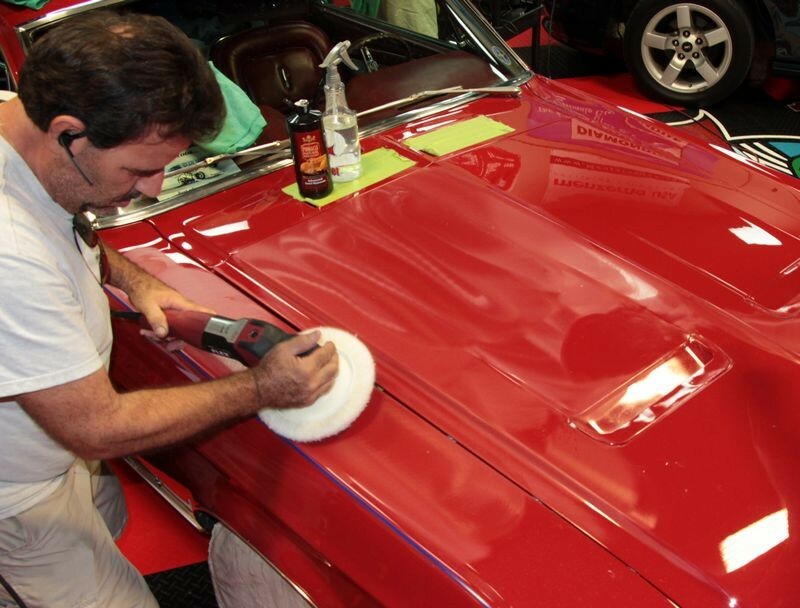 As I continued around the car sanding out pig tails and RIDS Robert followed me with the Flex PE14 Rotary Polisher, a wool cutting pad and Pinnacle Advanced Swirl Remover and removed the sanding marks. 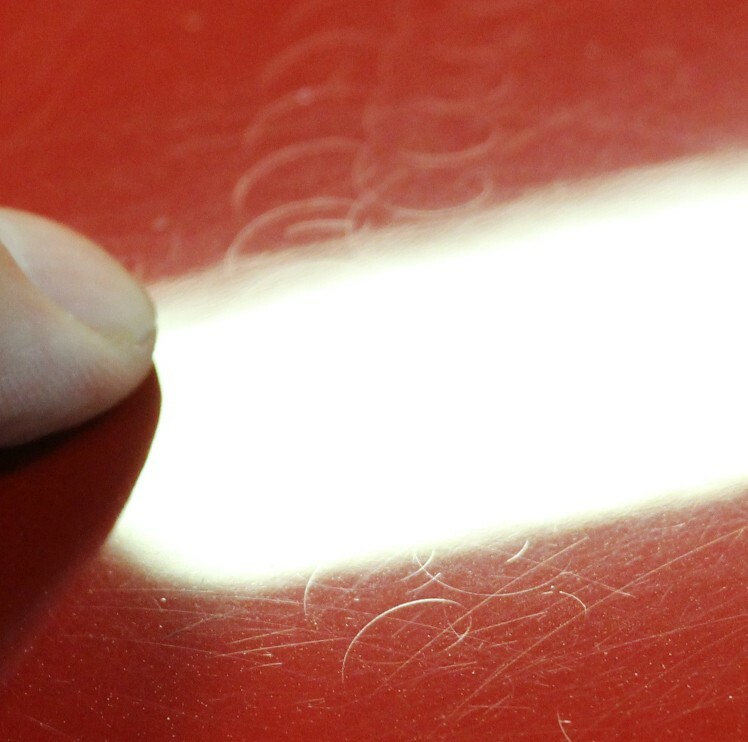 How can you avoid "pigtails" when machine sanding? 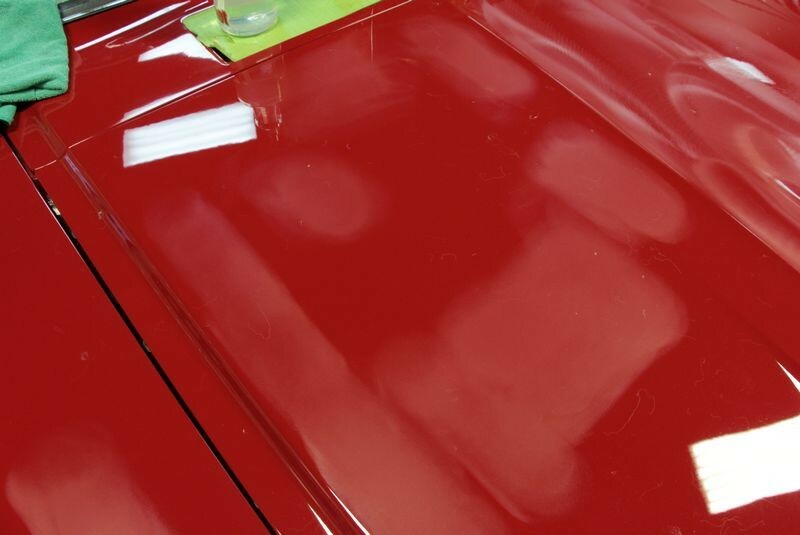 Is this paint too far gone for wetsanding?